Webinar 25 March 2019 at 3 pm (SAST) then take part in online discussions during the week! \We need to work together toward achievements not possible to make on our own. Whether we are co-authoring articles as academics, working on teams in the office, contributing to efforts in the local community, or building partnerships central to Sustainable Development Goal 17 , most of us need to collaborate in some way. We need to be able to cross boundaries of geography, discipline, and communicate face-to-face or online. How do we learn to organize and manage complex collaborative efforts? Dr. Janet Salmons suggests that thoughtful design of social learning experiences allows students to meet curricular objectives while developing their confidence and abilities to work collaboratively. Join Dr. Salmons for an interactive webinar and forum discussions about ways to plan and facilitate collaborative learning in online or blended learning classes. She will share practical strategies drawn from her new book, Learning to Collaborate, Collaborating to Learn. Janet has participated in numerous e/merge Africa events over the years. She is the Methods Guru and Community Manager for SAGE MethodSpace. She is the author of four books about research, most recently Doing Qualitative Research Online. 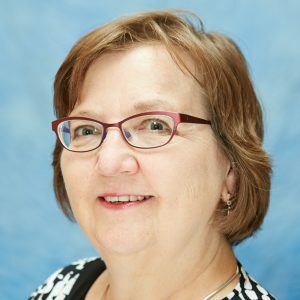 Dr. Janet Salmons, has been an online graduate faculty member at Capella University School of Business and Technology since 1999. She is an independent researcher, writer and consultant through Vision2Lead (www.vision2lead.com) . In addition to the new Qualitative Online Interviews, she edited Cases in Online Interview Research, also available from Sage Publications. In addition to online qualitative methods, she is interested in e-learning and online collaboration. She is a frequent presenter for online workshops and seminars, including participation in e/merge conferences. Dr. Salmons has a PhD in Interdisciplinary Studies from Union Institute and lives in Boulder, Colorado, USA. Book publication: Learning to Collaborate, Collaborating to Learn.